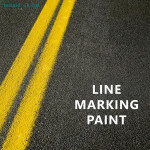 Our LFP Liquid Line Marking Paint has been specifically developed as a fast drying, line marking coating for minimum disruption. • Combines good application with excellent adhesion to concrete. • Designed for application by brush or roller. • Suitable for return to service in 1 hour + 30 minutes. • Where a slip resistant finish is required, granular aggregate can be applied onto the paint and rolled in.